The fastest growing religion in America is—none! One fifth of Americans now list their religion as “none,” up from only 7 percent two decades ago. Among adults under 30, those poised to be the parents of the next generation, fully one third are religiously unaffiliated. Yet these “Nones,” especially parents, still face prejudice in a culture where religion is widely seen as good for your kids. What do Nones believe, and how do they negotiate tensions with those convinced that they ought to provide their children with a religious upbringing? 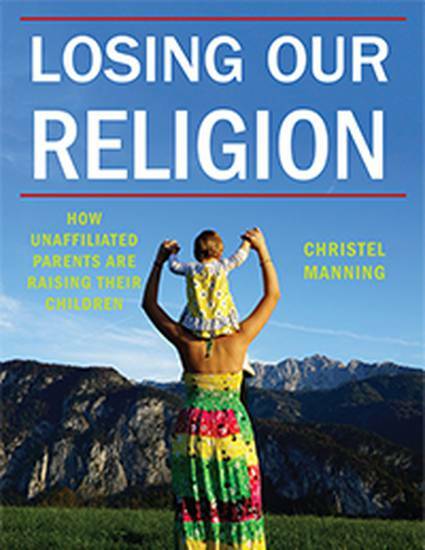 Drawing on survey data and in-depth personal interviews with religiously unaffiliated parents across the country, Christel Manning provides important demographic data on American “Nones” and offers critical nuance to our understanding of the term. She shows that context is crucial in understanding how those without religious ties define themselves and raise their families. Indeed, she demonstrates that Nones hold a wide variety of worldviews, ranging from deeply religious to highly secular, and transmit them in diverse ways. What ties them all together is a commitment to spiritual choice—a belief in the moral equivalence of religions and secular worldviews and in the individual’s right to choose—and it is that choice they seek to pass on to their children. The volume weaves in stories from the author’s interviews throughout, showing how non-religious parents grapple with pressure from their community and how they think about religious issues. Engagingly written and thoroughly researched, Losing Our Religion will appeal to scholars, parents, and anyone interested in understanding the changing American religious landscape. Manning, Christel. Losing Our Religion: How Unaffiliated Parents are Raising Their Children. New York NYU Press, 2015.